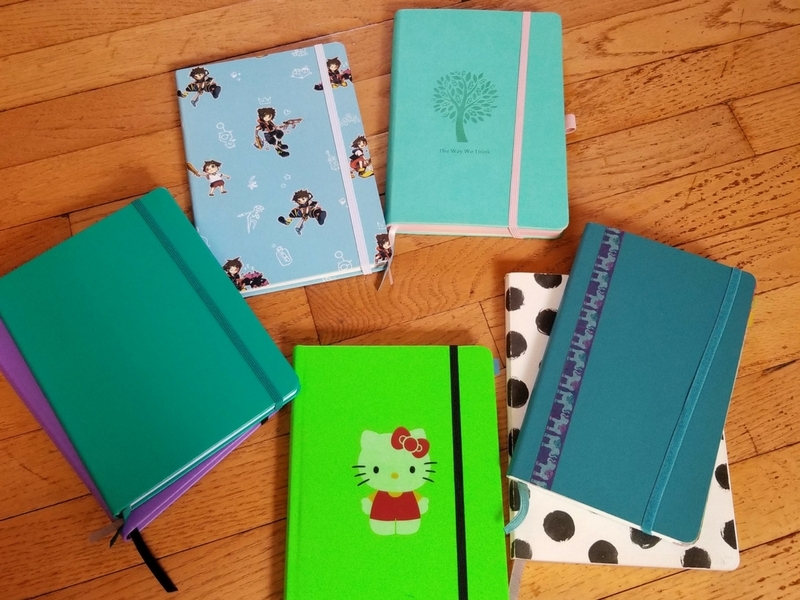 Everyone talks about bullet journals! Have you heard of them? Are you wondering what this type of journaling is all about? This is an in-depth look at bullet journaling for beginners. Bullet journals are a specific type of planner that you create yourself. It’s a customizable and forgivable organization system. It’s better than any planner you can buy because you will create the exact pages and elements you need for yourself. It can be your to-do list, your diary, your sketchbook and more. For many people, it’s all of the above. With that said, let’s do a deep dive into bullet journaling and everything you need to know about it. So, what is a bullet journal? It is what YOU make it! Bullet journaling is just about making lists, keeping yourself organized, and getting things done. Those are the basics, and the original bullet journal was minimalistic. Artsy types have now taken up the hobby and continue to find new, exciting ways to make their journals fun. However, that doesn’t mean you HAVE to. Your bullet journal is unique to YOU. That’s what makes it so special. It should be practical, serve your needs, and help you stay organized. Apart from that, any extra frills are for your own enjoyment. So, don’t beat yourself up if you don’t think your bullet journal is as pretty as the ones you see on Pinterest, and don’t worry if you’re just not into doing all the artsy stuff. It’s not a requirement. You may have heard people talk about a bullet journal key in “bujo” lingo. So, what is a bullet journal key and why do you need one? The key, just like a key on a map, will remind you what certain symbols mean. This allows you to use shortcuts in your bullet journal, making it more efficient. The key serves as a guide to what these symbols mean, and most people put their key at the front of their bullet journal, although there is no rule that says you have to. You can put it wherever is most convenient to you. When I first started bullet journaling, I used keys from other journalers. After I had been doing it for a while, I felt more comfortable completely creating my own keys. They were unique to me, so the symbols were special and memorable. I also wanted things that would be easy for me to draw since I would be repeating some of them a lot. 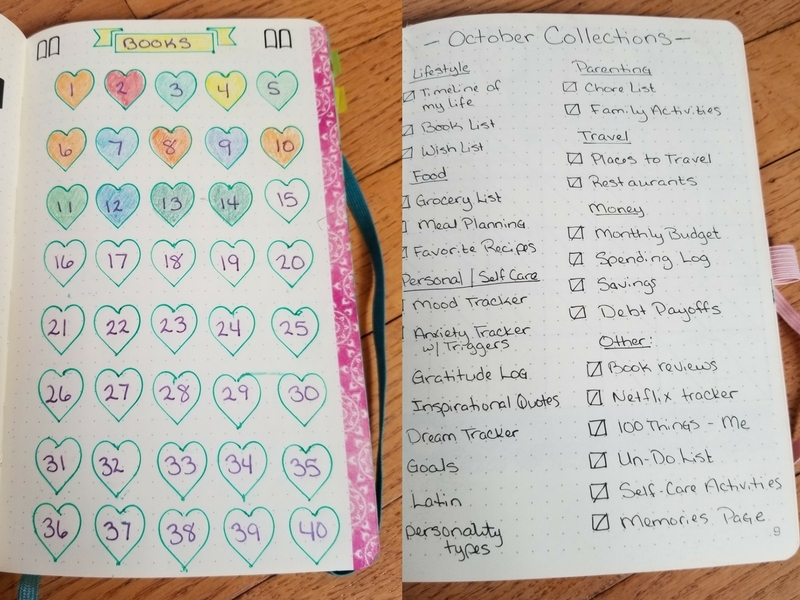 Collections are one of the things that make the bullet journal so special, and that make it unique from other types of journaling. Collections are the types of pages you put inside your journal, apart from your calendar and other basics. There are no rules to collections. You can make collections of anything that interests you. You also don’t have to make collections that you don’t like. I’m going to give you some examples of popular ideas, but again, feel free to do what you want with them. As you can see, the list can go on and on. There are so many great ideas for collections and you can even make up your own. It’s all about listing the things that are important to you or useful to you. If you’re asking, “What is a bullet journal spread?”, then I have some answers for that one as well. Your “spread” is the layout of a particular page. Sometimes, it may be a 2-page spread, so if you open the journal flat, you see both pages as one piece or connecting page. A spread could be your monthly calendar. 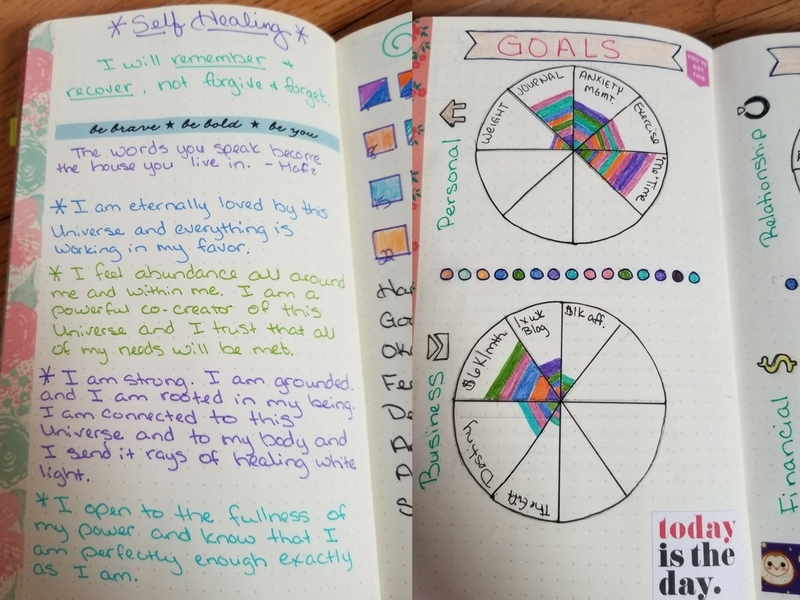 Some people also do weekly or daily spreads, allowing them to list all their tasks, to-dos and other important things to remember on those days. You can also put Collections in spreads. 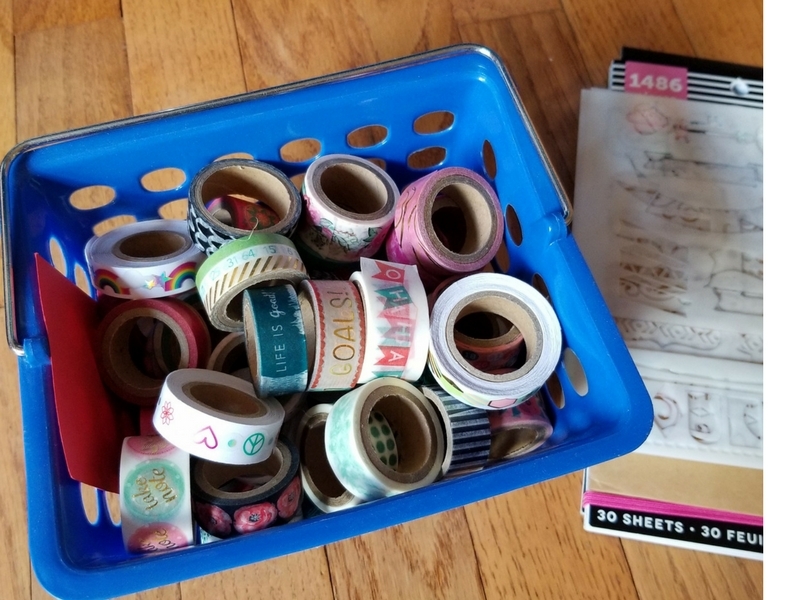 Some people like to make them pretty, adding décor and washi tape (decorative tape) to decorate the pages. Again, this is optional, but if it appeals to you, why not go for it? 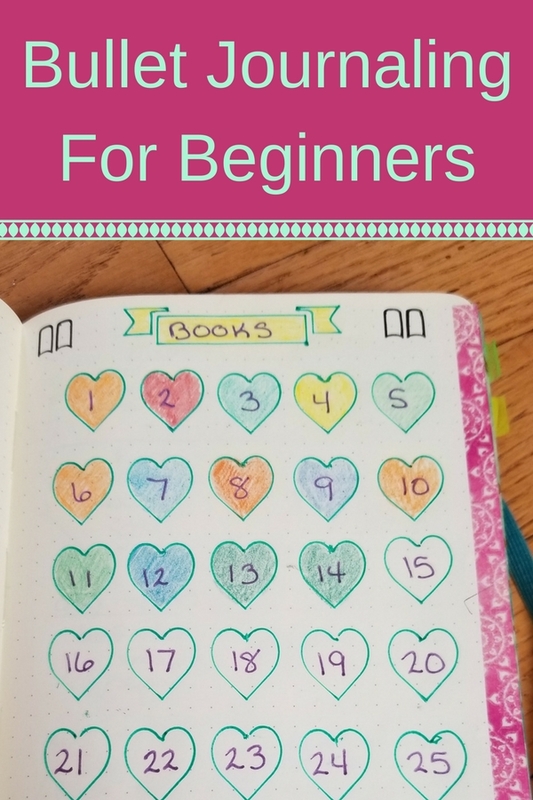 Bullet journaling for beginners does not have to be difficult. It really is a simple process and if you’re not sure about doing all that fancy stuff, go and look up the original bullet journal process. You’ll see that it is very minimalistic and simple. That was the entire point. You can start bullet journaling this way. Remember, there is no right or wrong way to bullet journal. If it feels good to you, if it makes you happy, and if it gets the job done, then you’re doing it correctly. It’s really that simple. You make it what you want it to be. These are just a few of the benefits of bullet journaling. Again, you may find there are different benefits for you. So, how do you start a bullet journal? Well, it’s easy. As we said above, just grab some supplies and get started. It doesn’t have to be anything fancy or expensive. Some people like to start with a $1 notebook and a pen or pencil. If you think you’ll feel more motivated to use it by getting something special, then go ahead and invest in yourself. Some people like to practice their spreads in pencil first, especially when they are new, so they can erase if they make mistakes. Some people just like to go for it! You can always cover mistakes in washi, or just make them part of your design, like “happy little accidents”, as Bob Ross would say. When it comes to how to use a bullet journal, it’s all about how you want to get benefits from the journal. If may be a fun, creative outlet for you. Or, it may be a valuable tool to help you keep track of appointments and other important tasks. How you use it is totally up to you. You might even find over time that how you use it changes. I originally started mine as a replacement to traditional planners. They never quite had the layout or space that I needed, and I loved the idea of creating my own. Then, I found over time that I also liked to make scrapbook pages of my happy memories and places I’d gone, and I also liked to do some mini diary notes to help me remember things that had happened on that day. It was nice to have it all in one place. So again, it’s up to you how you use and it and there aren’t any rules. There you go! Now you know everything you need to know to get started. Now you’re ready to start bullet journaling. The most important thing for you to remember is that this is about you. It’s about the experience. Don’t compare yourself to others, your spreads to others, or your designs to others. You don’t even have to have designs that are fancy, or colors. Feel free to create a simplistic system with just paper and pen.